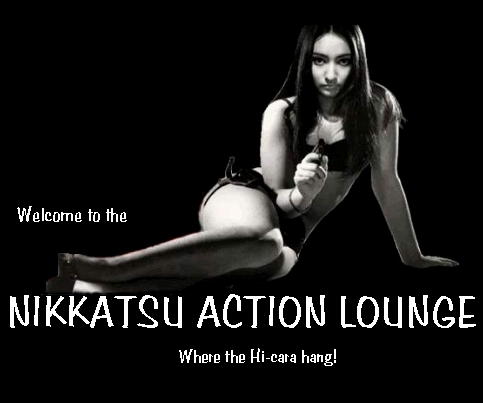 This site is a tribute to the often INNOVATIVE, sometimesWILD, and always ENTERTAINING, cycle of action films produced by the Japanese studio, NIKKATSU, beginning in the late 1950's and continuing throughout the 1960's. During that time this great studio--with its highly talented crew of charismatic stars, flamboyant directors, and brilliant craftsmen (including set designers, writers, and composers)--cranked out some of the finest genre films ever made! Click a star's photo to go to their profile page! Please visit this great site dedicated to the classic Nikkatsu Action films of Kobayashi Akira and Shishido Jo! All of the images used on this site are the property of the Nikkatsu Corporation. They are reproduced here strictly for fan enjoyment and research purposes. for Yaju no Yabai Gumi.2001-2010.